Welcome to a sneak peek of Paige and Mitchell’s wedding. 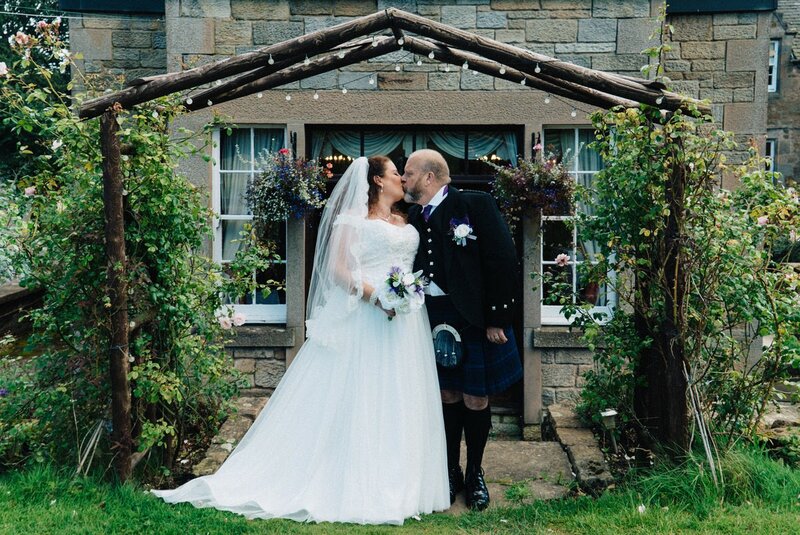 A bright and sunny day for their ‘The Stair Arms Hotel‘, Pathhead, Edinburgh Wedding! A warm and cloudless mid-week August wedding, with blue skies and a calm breeze for a very relaxed couple to tie the knot. 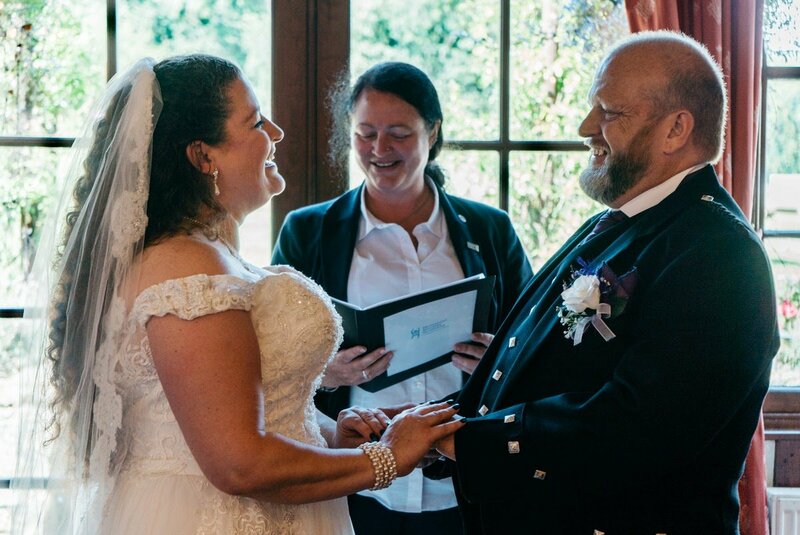 We love photographing weddings in Scotland, and they could not have asked for a more perfect day. 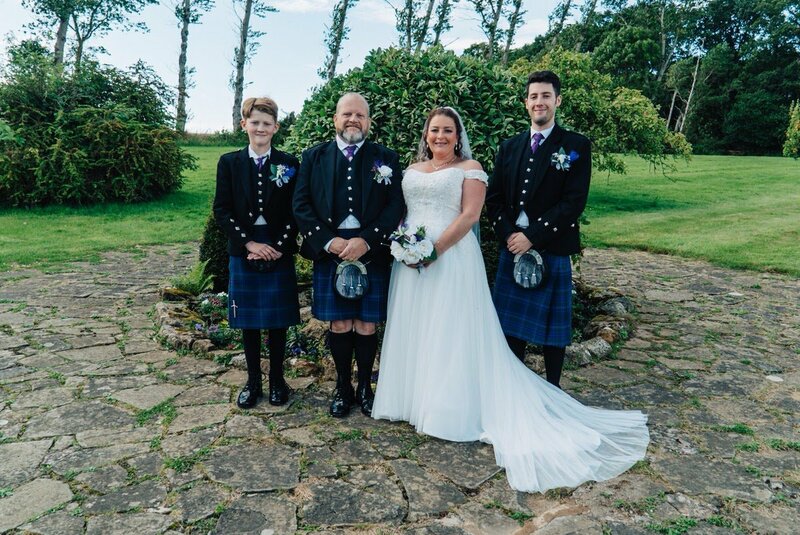 Paige and Mitchell’s intimate wedding in Edinburgh was a brilliant family affair. The couple and their children had eloped from Canada. A small wedding party made up of family from London who travelled to share their day. They married with only the very closest of the family present in a location from Paige’s heritage. This gorgeous pair had such an incredible connection with one another. A day of pure promises to each other. It was glorious being able to spend time with them and see how they looked at each other with so much love. Being around the newlyweds was special, you just couldn’t help but smile and feel all warm inside! A beautiful day, with Paige’s children welcoming Mitchell into their family. A day of promises and two families coming together as one. All celebrations commenced at the newly refurbished ‘The Stair Arms Hotel’, Pathhead, Edinburgh. Edinburgh looked spectacular, shining in the sun. A quiet, rural part of Edinburgh meant their day remained peaceful. The warm weather was not what you would expect, and so it felt more like a destination wedding! While we work on their full gallery, we shared with them a little preview from the day. We always like to give couples a Sneek Peak as soon as possible to share with friends and family. It always builds more excitement for the full album! Our day was busy at Paige and Mitchell’s wedding. Starting early in the morning and staying through to first dance in the evening. Capturing the action in the background for bride and groomsmen preparations. 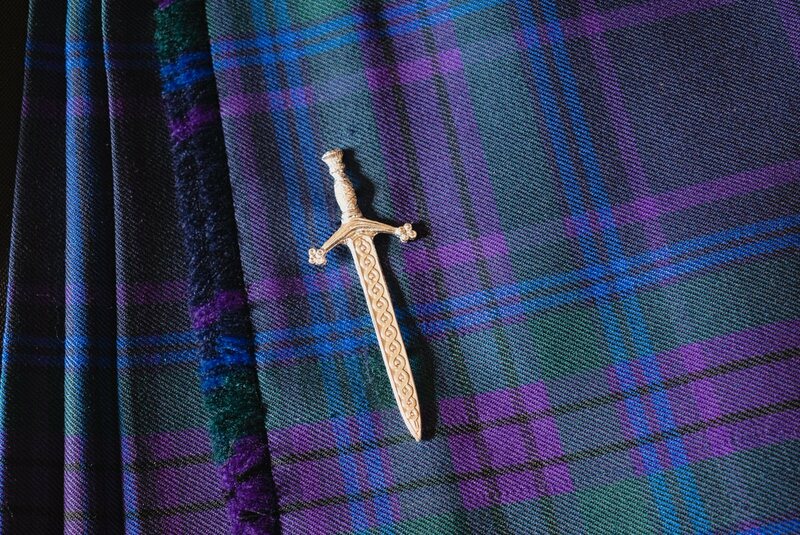 Spotting all the little details. Witnessing Paige’s son walk her down the aisle and giving her away. Seeing Paige’s children’s joy at their union and them taking care of their Mum throughout the day. It was all a very close family affair. The day evolved into a relaxed, day of laughter and love. We visited the wheat fields just behind The Stair Arms Hotel. The wheat was close to harvest and looked magical in the sun. 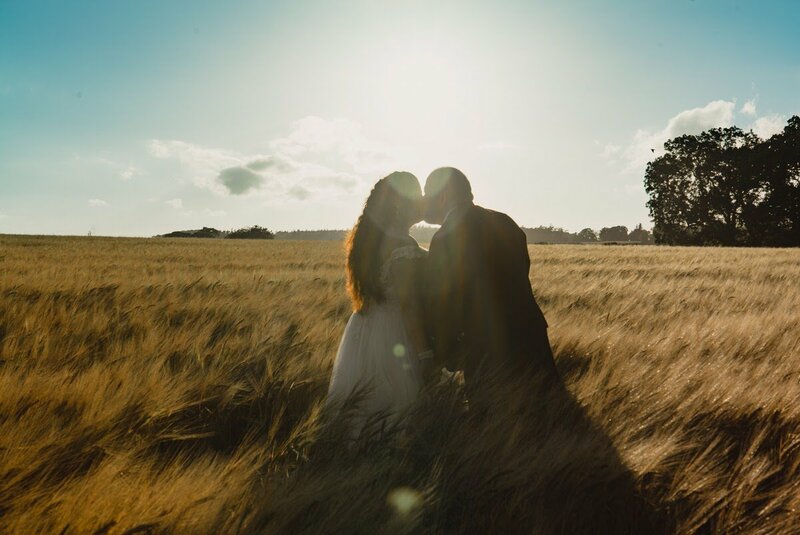 We cannot wait to start editing their hay field wedding portraits. We will be able to see how many the pair were giggling in! Stories Of I Do are much better at telling the story of their day through our photographs so please scroll away. 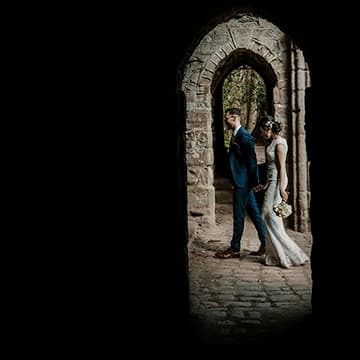 Sneak Peek – Elizabeth & Scott | Elslack, Skipton Wedding STORIES OF "I DO" Shaw House Newbury – Ant & Emily STORIES OF "I DO" Paige & Mitchell’s – Stair Arms Hotel Wedding, Pathhead STORIES OF "I DO"